Multi dimensional is a good word to describe the depth of Garey’s musicianship. Few drummers have the appetite, abilities or knowledge to be as musically versatile as Garey is. Wether it be playing a Hip Hop pocket to an R&B track, laying down some heavy backbeats on a rock ‘n roll screamer, caressing the snare drum delicately with brushes for a vocal jazz ballad, digging deep into the Clave in Salsa music, kickin’ the daylights out of the big band, to jaw dropping drum solos, Garey does it all with taste, musicality, power, and ease. Few other drummers can so eloquently navigate between so many styles of music and make it sound as authentic as Garey does. 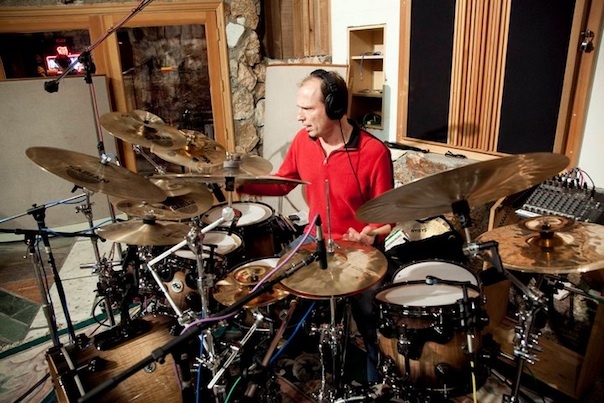 Garey has played the drums for over 40 years, gone through over 100 drum method books, studied thousands of CDs, viewed numerous videos and/or instructional DVDs, attended over 50 drum clinics, and he’s amassed countless hours of performing and Recording time as both a band leader and sideman. As a drummer and educator, Garey has become one of the most sought after teachers and performers in the Northwest. He received his Masters of Music in Percussion Performance & Jazz Studies from Central Washington University in 1993. Garey has been reviewed in Modern Drummer, Rhythm Magazine, Percussive Notes and numerous regional and local newspapers.